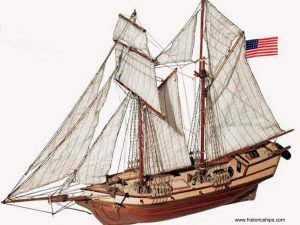 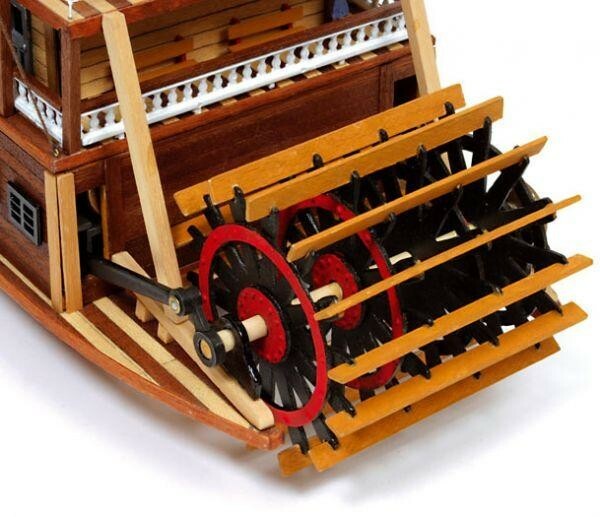 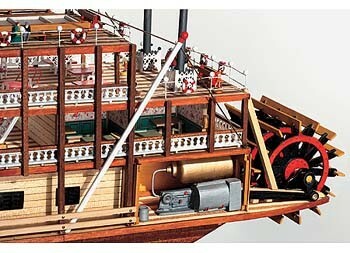 Spirit Of Mississippi – New kit from OcCre of Spain reproduces an 18th century paddle-wheeler in authentic detail. 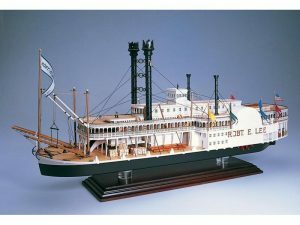 It is the only riverboat kit that includes accurately scaled furnishings for cabins and salons. 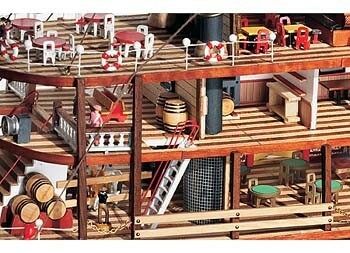 You get benches, beds, chairs even gaming tables and a piano. 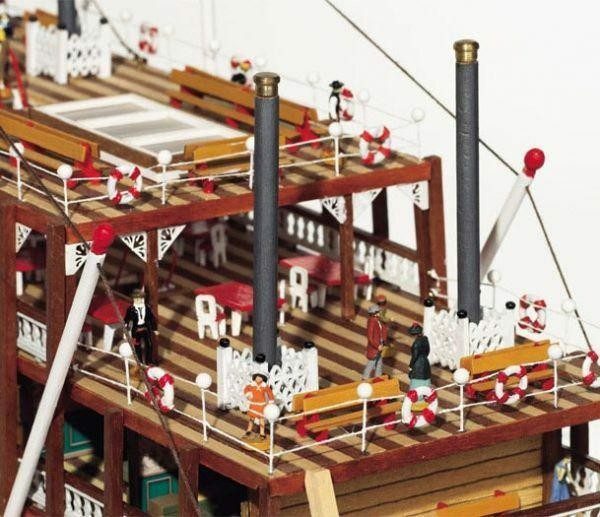 Other life-like touches include revolving paddlewheel, steam engine, ornately decorated smokestacks, carved railings, wooden barrels, brass chains and more. 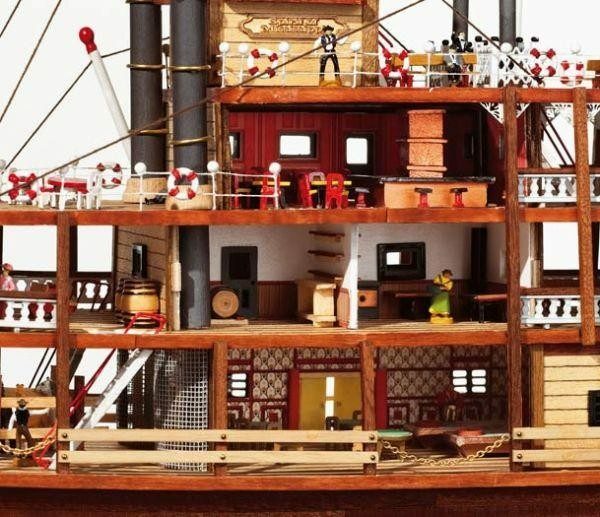 Perfectly fitting laser cut wooden parts make for trouble-free assembly. 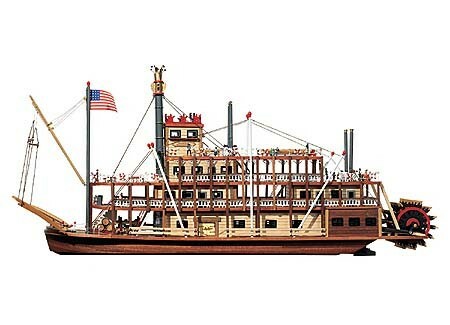 OcCre provides clearly drawn plans and instruction manual with progressive photos of every step help you build a realistic replica of a Mississippi Riverboat Paddle Wheeler. 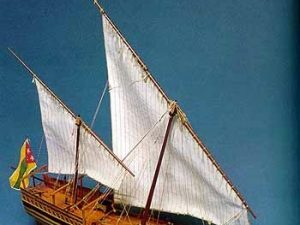 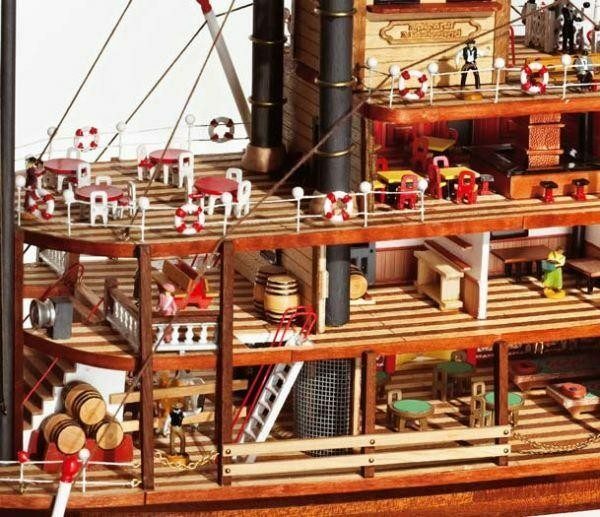 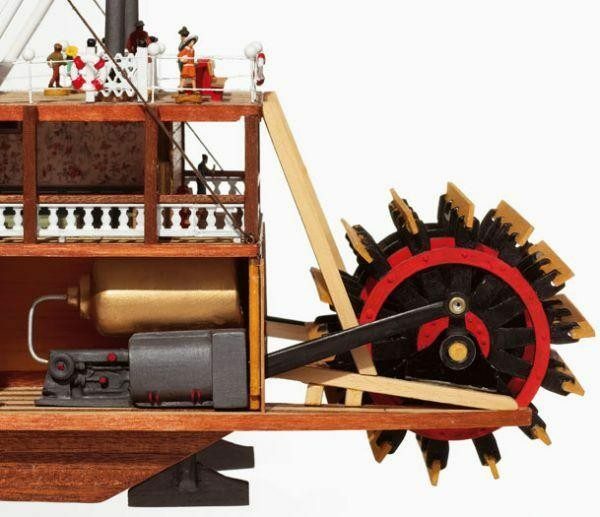 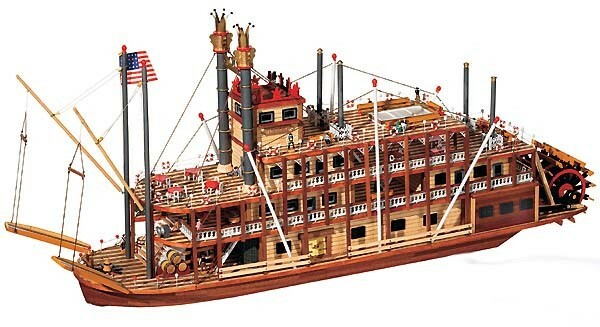 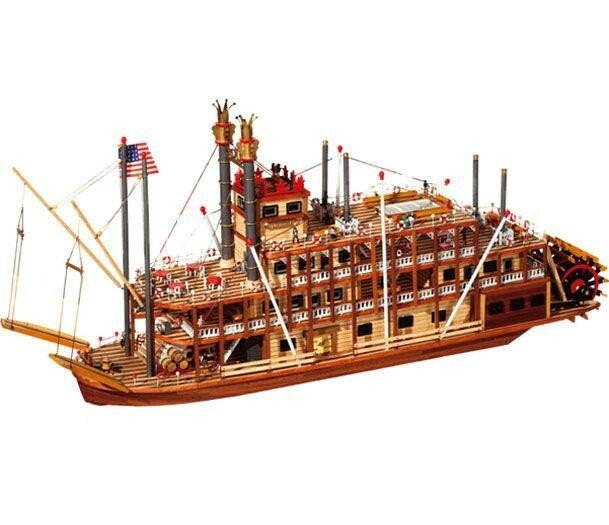 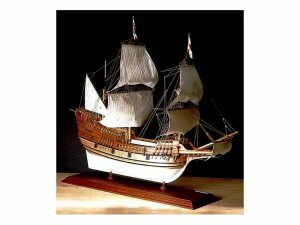 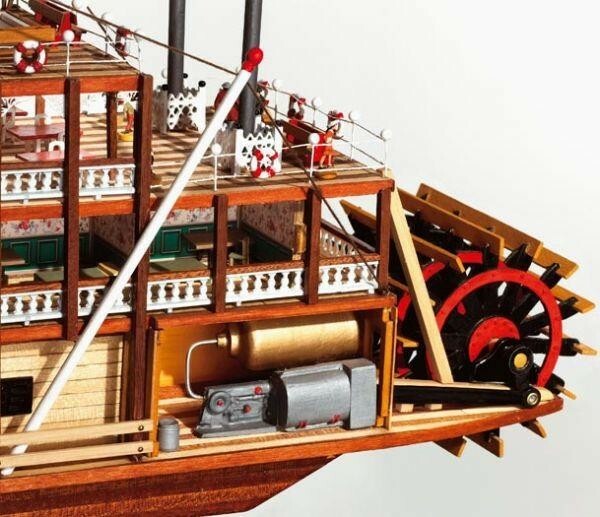 This model ship kit comes with everything you need to build except for tools, paint, glue.